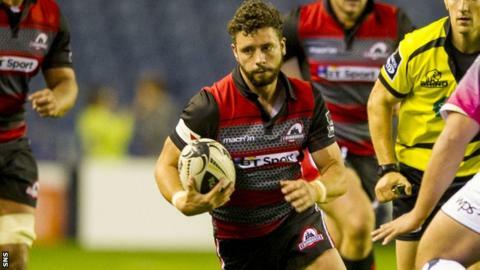 Edinburgh scrum-halves Sean Kennedy and Nathan Fowles have signed new one-year contract extensions with the club. Kennedy, 24, has represented Scotland at under-20 level and has made 37 appearances for Edinburgh. "Looking ahead to next season and the players we're bringing in, I think we're building a squad that's good enough to go on and succeed and I want to be part of that," Kennedy said. Fowles, 22, has played 17 times since joining the club from Sale Sharks. What must Strachan learn in friendlies? Read more on Scotland: What must Gordon Strachan learn from friendlies?